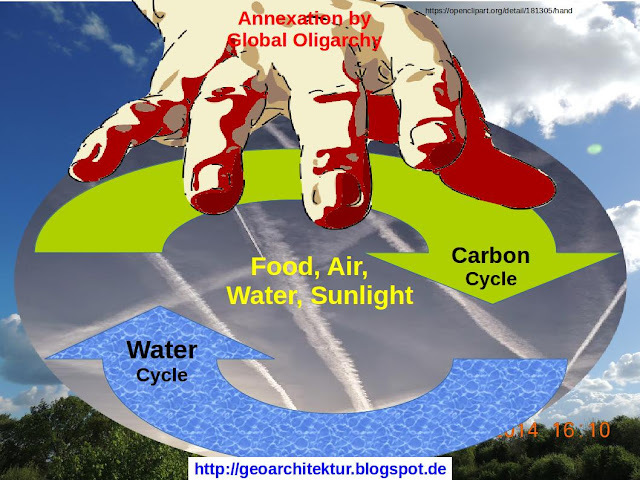 Geoarchitektur, Geoengineering: Questions and answers about CO2! What should cause Your suspicion? Now let us talk about CO2. Non existent planetary and glasshouse Greenhouse Effect! “Only the CO2 share, emitted by humans is causing a positive feedback and Greenhouse Effect, which entraps the heat and inevitably leads to a climate catastrophe!97% of climate scientists agree in consensus about that occurring now! ” Why is that statement wrong, many of You will ask now, because it is presented as an “scientific consensus” by “all Main-Stream-Media”! 2. What should cause Your suspicion? 1. 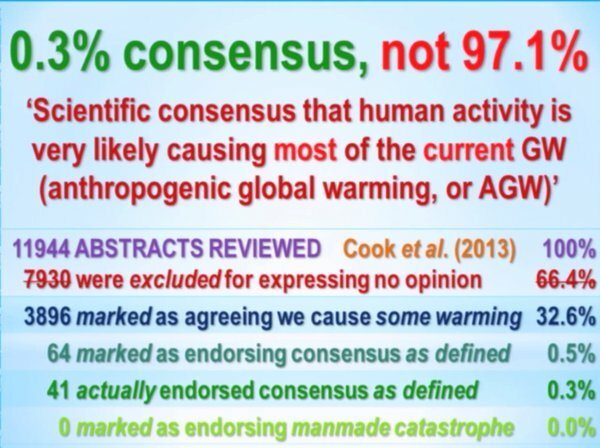 “Scientific Consensus” – Science is based on evidence, not on consensus voting! Apart from this, there was no consensus voting within the scientific community about that. It would be absurd to do it! If there was a voting, the share of supporters of the above construction would be less than 1/1000 and the statement would be easily ripped off by scientific evidence! Even the propagated consensus is totally fake! The "consensus lie" doesn't even deserve to be called a speculation and it is never a theory, it is just a dumb marketing lie, developed by marketing swindlers not by any scientist! 2. “All Madia is propagating it!” – The so called Media consists of propaganda companies and they are correctly not named as media anymore! More appropriate names are “Lügenpresse”, “Presstitutes”, “Maulhuren” … Just when all Presstitutes are announcing something or pointing into a direction, everyone should look around, generally the truth is at the opposite side! 3. Now let us talk about CO2. CO2 is one of the natural components of our Atmosphere. How much CO2 is there? CO2 is a trace gas, besides 78% Nitrogen, 21% Oxygen, 0.934% Argon and 0.029% other trace gases only 0.037% CO2 is in the Atmosphere. Total share of humanity on CO2 is 0.0011%, only the share of industry is with 0.0000077% much lower and relatively irrelevant! CO2 is a rare, odorless non-poisonous gas. Properties of CO2! CO2 is with its 1.977 kg/m³ one of the heavier components of air and therefore tends to accumulate at near surface level. The relatively heavy specific weight of CO2 is a fortunate for life, because CO2 is similar to water a main element of life! 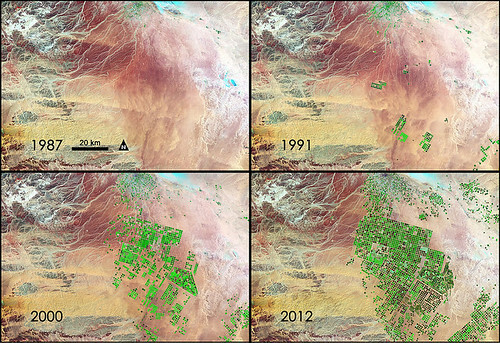 Plants feed from atmospheric CO2, which they need for their bare existence and growing. The carbon is sequestered from CO2 and joined with other molecules of plant food to build the cell material! Do we, the humans, also need CO2? Yes, because all animal (also human) life depends on plants. We feed directly on plants or eat meat of animals feeding on plants! Where else do we need CO2? We use O2 to burn carbon for our body heat. This burning results in CO2, which we thankfully give back to the plants. CO2 is the element of symbiosis between plant and animal life! A more detailed explanation of photosynthesis is will be delivered on a separate post, but You may research on abundant and free resources by Yourself. What do we want to breathe in an Atmosphere without CO2 and O2? How the plants survive without getting CO2 from air? How will humans and animals survive without plants as food and Oxygen (O2) to breathe? No, CO2 is always a result of burning, never the reason. Building of CO2 is an energy absorbing process not an emitting one. CO2 and H2O are effectively the gaseous ashes of the burning process. Is CO2 a strong heat absorber? No, CO2's capacity for heat is considerably less than other gases in the atmosphere. "Specific heat (= specific heat capacity) is the amount of heat required to change temperature of one mass unit of a substance by one degree." Yes, by evaporation of water (H2O) and CO2 as results of burning both molecules carry the heat away by rising upwards and cool down the surface area of their origin. This process is similar to our sweating. Sweating is mainly done with water, but always also a little bit of CO2 emitted, as we also breath with our skin! Can CO2 accumulate 6km height as greenhouse cover? No, CO2 is with 1.977 kg/m³ to heavy to rise up high and stay there for long. It always tends to the surface after releasing its energy and cooling down and it is absorbed by plants by photosynthesis. Water vapor has only 0.590kg/m³ specific weight and can rise up by diffusion to the upper border of Troposphere (ca. 11km in the Temperate Climate Zone). Is CO2 responsible for the heat in a real greenhouse? Keep the temperature of the greenhouse stable, specifically on cold days. To feed the plants with CARBON, which they can absorb as CO2 to crack out the C and release O2 by PHOTOSYNTHESIS. Deliver also humidity to the air, because second remain of burned Methane is H2O (water). The glass cover of the greenhouse is to keep the higher CO2 level inside. Else the production of CO2 would not make any sense, it would be wasted. 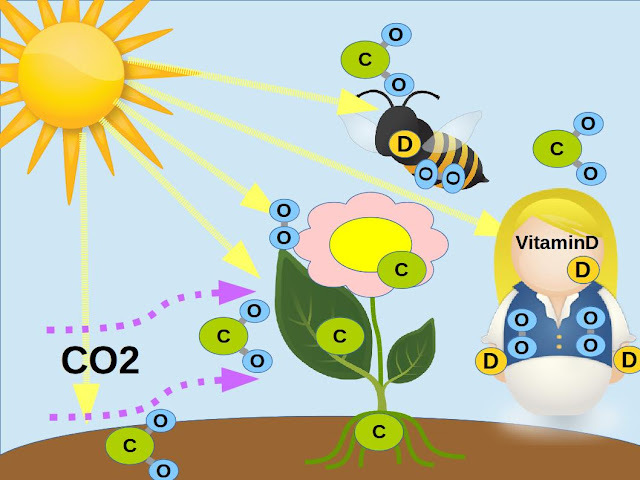 In addition to CO2 production the light wave quality must be optimized to enable and maximize the effect of PHOTOSYNTHESIS. Is CO2 an acid? Can it acidify the oceans? No, CO2 is not an acid. The common use of the notion "carbonic acid" (H2CO3) in some languages is chemically totally wrong. By putting energy about 0.2% of CO2 in water could be bound to carbonic acid. "Carbonic acid (H2CO3) is an anorganic acid and the reaction product of acid anhydride carbon dioxide (CO2) with water." 4. Non existent planetary and glasshouse Greenhouse Effect! Does the greenhouse effect exists on another planet, e.g. the Venus? 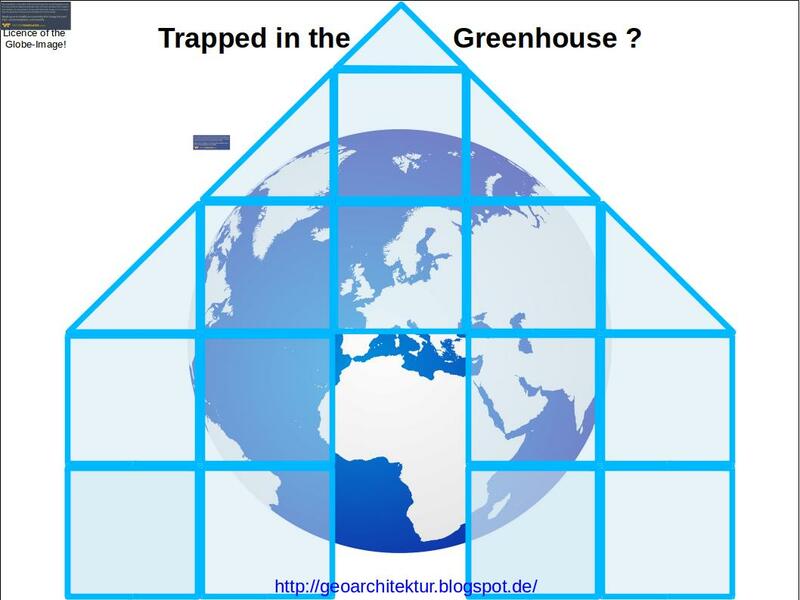 No, there is no greenhouse effect, either in a real greenhouse and certainly not on any planet!! Venus is about 108 million km and Mars is about 228 million km away from the sun. Both the cold Mars and the hot Venus have a CO2 share in the atmosphere of about 96%. 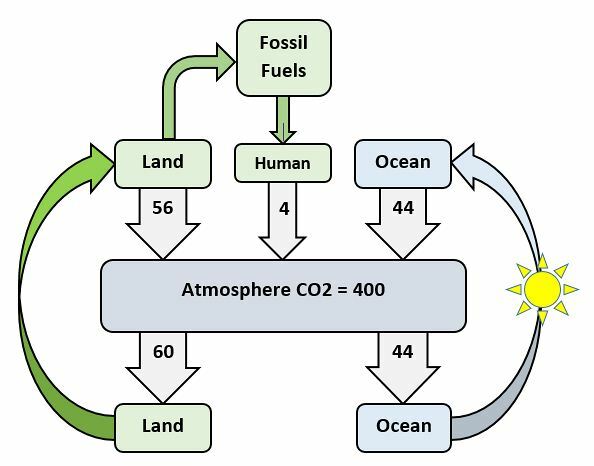 The only reason that the CO2 is not split up and O2 is released is that there are no plants on both planets to conduct photosynthesis. Mercury, although only about 58 million kilometers away, is too small to form a nameable atmosphere. Apart from the solar radiation, the warming comes by the density of the atmosphere. The density of the atmosphere depends on the mass of the planet and the availability of vaporizable elements. Planetary objects, which have a very large mass and can form a very dense atmosphere, are called suns, because by the extreme condensation they convert excess matter into energy and emanate it as electromagnetic waves. It is only through this energy-intensive process with very high pressure and heat conditions that heavy elements are created in the sun. Objects that are too small to hold a noteworthy atmosphere are exposed to the cosmic cold and direct exposure to the sun. A very good example is our Moon. On the sunny side, the soil can become 130 ° C hot, but on the shadow side it is about -160 ° C cold. On Mercury it becomes cold in the night up to -173 ° C and up to 167 ° C hot during the day. So, the sense of temperatures lies in the mass of the planets and their ability to hold a dense atmosphere. The scope of Venus is similar to the Earth. If we assume that both have similar composition and an equally strong gravity, the proximity to the Sun makes the only difference that leads to more heating, evaporation of volatile substances and thus resulting in a more dense atmosphere. However, we can not rule out that Venus may have more heavy elements and thus has a higher mass, which would greatly increase its ability to bind a more dense atmosphere. On Venus a day is longer than a year and it rotates, relative to all other planets and the Sun, in the wrong direction. This slow rotation also causes a completely different climate on Venus compared to Earth. Our Earth has a similar volume like Venus, but it is a more blown up and less dens object. The relative distribution of individual components of the atmosphere does not say anything about the density of the atmosphere. On Venus, pleasant pressure conditions such as on the Earth arise only to altitudes of about 50km to 65km! https://en.wikipedia.org/wiki/Atmosphere_of_Venus Large planets can even bind hydrogen, while on smaller planets such light elements escape into the universe. CO2 is one of the heavy molecules. On the Earth it collects near the surface. Dear readers, just assume that everything about global warming is false and faked. Here is compilation of facts about the planets. 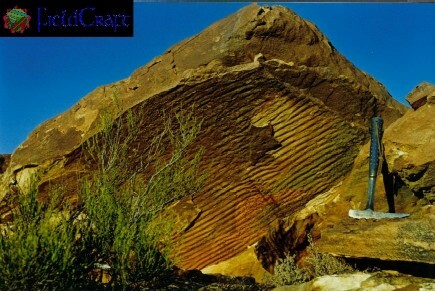 https://nssdc.gsfc.nasa.gov/planetary/factsheet/ There You find the pressure on the surface! What is the Temperature of Jupiter?By Nola Taylor Redd, Space.com Contributor | November 7, 2012 https://www.space.com/18391-jupiter-temperature.html"Heating sourcesBecause Jupiter's distance from the sun is an average of 484 million miles (778 million km), heat from the star is weak, though it does contribute. Much of the heating of the gases come from the inside of planet itself. Beneath the surface, convection from the liquid and plasma hydrogen generate more heat than from the sun. This convection keeps the massive gas giant warm enough to avoid it freezing into an icy world." Positive Feedback of CO2 as true as if some one would claim that the reflection of the Moon would be the main reason of the heat of the Sun. The Sun is sending its light to the infinite space. A little portion of light reaches the Moon. Only a small insignificant part is reflected back to the Sun. The sunlight needs about 8 minutes to reach the Moon, the reflection needs additional 8 minutes, so a photon emitted by the Sun needs about 16 minutes to come back. Knowing this, would You claim, that the Sun is glowing by the reflection of the Moon? That the Moon is the reason of the heat on the surface of the Sun? Exactly that is claimed about CO2 by the ClimateControl Mafia! Remember, from 0.037% CO2 of Atmosphere, not all human share of 0.0011% is blamed but only the 0.0000077% of industrial emission would be responsible of global warming. A material which is cooling and an indicating result of burning, but never the reason of heating! This tiny immeasurable CO2 share shall entrap the infrared radiation and send it to the Earth surface, to keep and send the infrared waves back from the surface, playing ping pong with the heat waves and causing the rise of inner heat on the surface. At the beginning, the sect priests of Climatism Church, who happily abuse the notion "scientist" for themselves, used the crazy speculations of Svante Arrhenius about a glass like cover at 6 km altitude consisting of carbon dioxide snow. "It is always surprising, how the "greenhouse effect" as a myth, even in the realm of science, can exist. He (Svante Arrhenius) claims in his publication "About the Influence of Carbonic Acid in the Air onto the Ground Temperature" that a "glass roof" of "carbonic acid snow" at an altitude of 6 km would isolate and heat the Earth, like in a green house. However this "glass roof" was never found till this day. 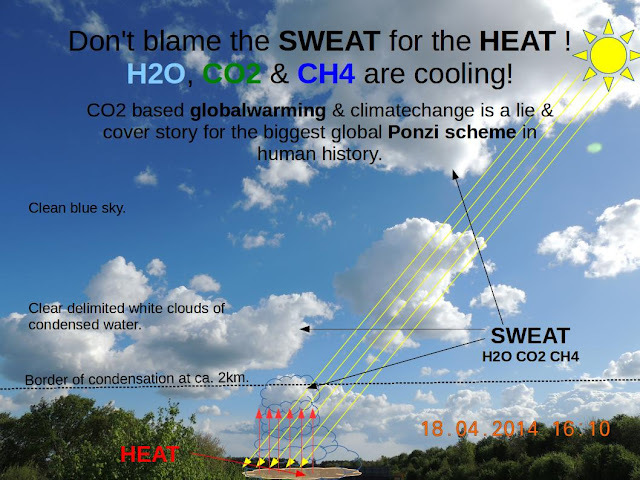 Also a heat reflecting carbon dioxide layer doesn't exist, which would push back the heat reflected from the Earth - these are the myths of the climate catastrophe apologists." As such claims have been embarrassingly disproven many times and sound very dumb, the Climatism Sect doesn't talk about any altitude or carbon dioxide glass, but however demands that we should believe in the illusion of the existence of a magical cover. We shall just believe in any idiocy of Climate Sect, which is presented as "science" and never question it. 6. Warming shifted to Troposphere! 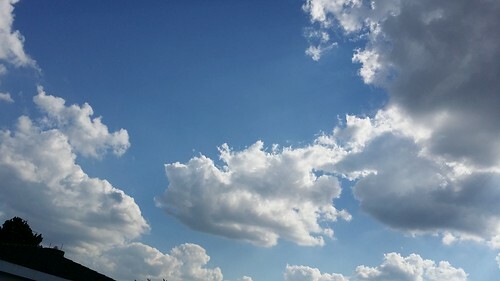 Under natural conditions the dual Oxygen (O2) molecules within the Stratosphere are separated by intense UV-C radiation and bonded together as triple Oxygen (O3), which is named Ozone. Therefore this area is named Ozone Layer. The heavy Ozone molecules absorb most of the UV-C and UV-B rays and release the excess energy as heat (infrared rays). Therefore the Stratosphere is about -15°C at top relatively warm, compared to the -56°C at the upper border of the Troposphere. "The stratosphere lies above the troposphere and extends to 50 kilometers (31 miles) above the Earth’s surface. It holds 85 percent to 90 percent of atmospheric ozone created by the photolysis – the decomposition by solar radiation – of oxygen." 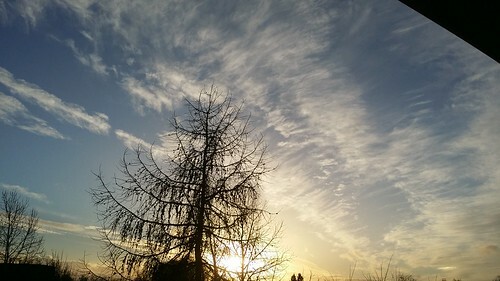 With Stratospheric Aerosol Injection (SAI), which is a fake naming for the process, as there stratosphere contains no humidity, so no building of aerosols can be triggered by spraying fine dust particles, the Ozone is dropped out by oxidation with chemicals. So the application should be named Stratospheric Ozone Oxication (SOO) or Stratospheric Ozone Burning (SOB) or similar. The Ozone is highly reactive to any material sprayed out within the Stratosphere. The result is chemical ash, not aerosol. 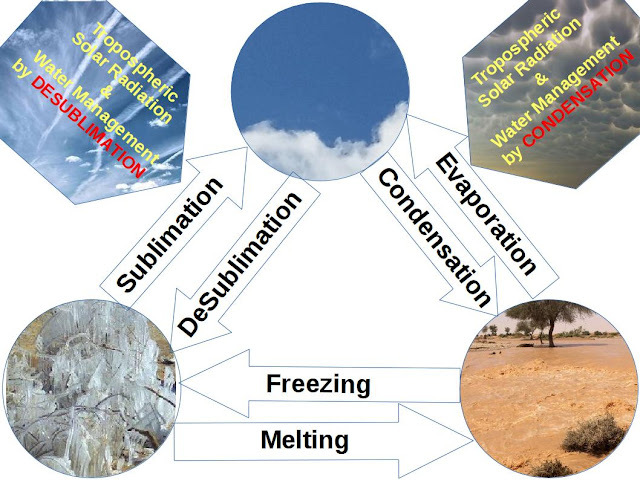 The intention behind dropping out the Ozone is to make the Stratosphere more transparent for UV-C & UV-B rays, that they may reach down to the Troposphere and the surface of land & oceans. Less Ozone means cooler Stratosphere! But at the same time all the chemical ash falling from the Stratosphere down to the Troposphere and all the Tropospheric Aerosol Injection (TAI) material sprayed within the Troposphere to build artificial smog, to bind and lift water, increases the total mass of material within this lowest layer of the Atmosphere. More mass means higher potential for inner heat. With other words, more material can absorb more energy and release more excess energy as heat (infrared rays). The Stratosphere is cooled by SOO (SOB, SAI) but the Troposphere is heated by TAI. This is the reason of hysterical marketing of the "Globalwarming" spin. When we look at the total balance of temperature for the whole Earth there is no change, as the total mass of the Earth remains the same, but an important part of stratospheric mass is reduced and the tropospheric mass is increased dramatically. The expectation is that this will result in higher inner heat in all areas of Troposphere with higher material density in air, which may cause death and damage. To prevent being sued and forced to pay for this, the ClimateControl propaganda blames its doing on the victims by claiming that the production of CO2 by their bare existence is to blame for heating, because more mass is put into the air by more CO2 emission. 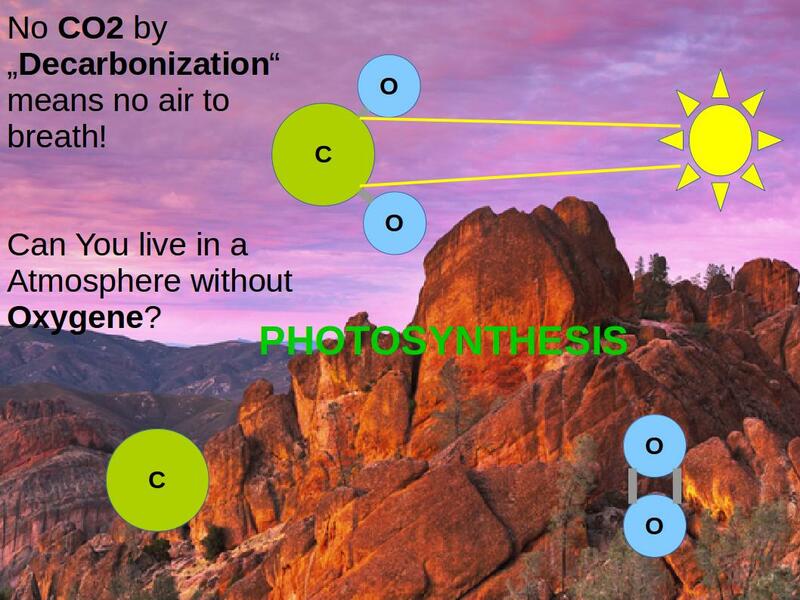 The CO2 remins in air, because of reduced sunlight by SRM, which results in reduced photosynthesis! This means less O2 is produced. The second job of the propaganda is to prevent the victims from thinking about their suffocation. 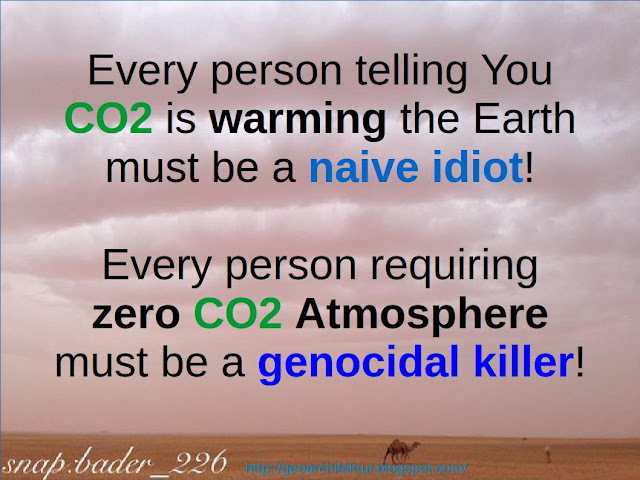 When I write all this, I know that most people are so deadly dumbified that they don't know anything about the symbiotic role of CO2, O2 & H2O in photosynthesis. This is the biggest shame and problem of the humanity. Do You get the logic of the Globalwarming propaganda now? CO2 and H2O are foundations of life! If someone aims to control and tax CO2, doesn't he want to control and tax the life itself? 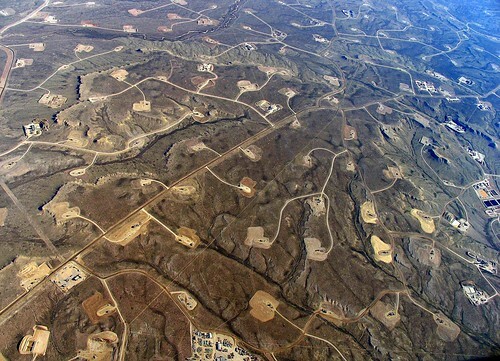 Exactly that is the target of this measurement, to occupy, privatize, tax and trade the natural cylcles of WATER and CARBON! The owner of both cycles will be able to decide about life and death by drought, floods, Sunlight deficiency, poisoning and contamination. 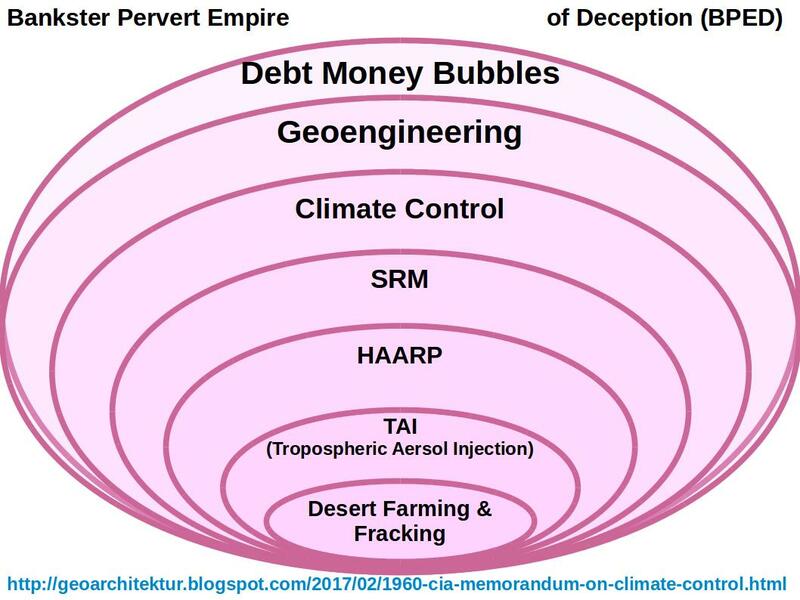 Control on CARBON and WATER is the ultimate weapon of WWIII, which we have already entered as Geophysical Warfare is applied in many regions of our planet. 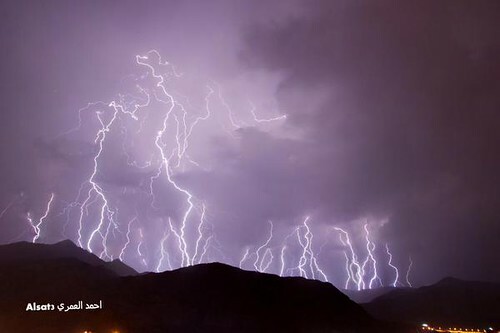 Because of miserable mass education and daily distracting and brainwashing propaganda the dangerous impact of this weapon is deemed as "bad weather" ! 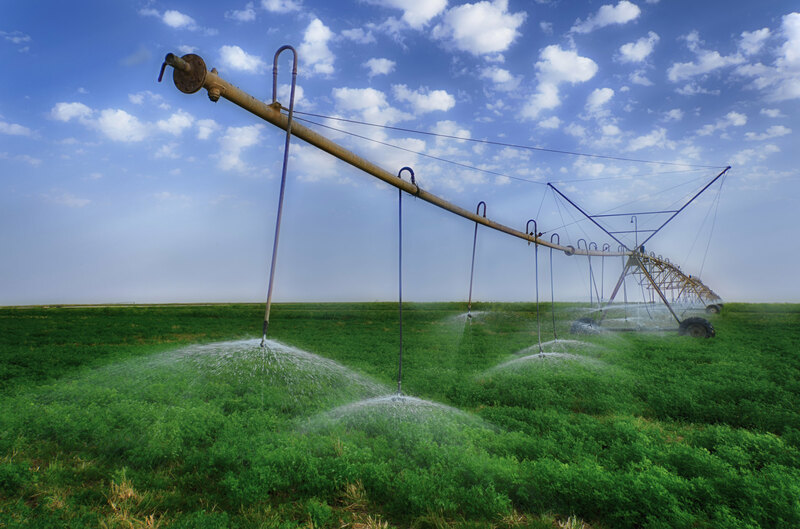 Main mechanism of this technology depends on water physics. By using Desublimation aerosol covers are built. 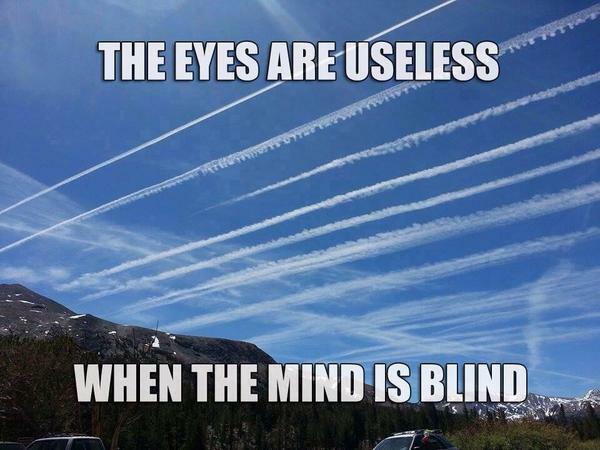 Desublimatios trails are the most evident indicators of "Tropospheric Solar Radiation und Water Management" (TSRWM)! Knowledge gives power! 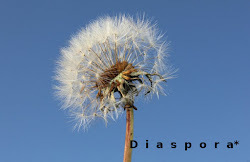 Ignorance ends in helplessness! Knowledge gives wisdom! Ignorances is blinding! "Contrary to what Al Gore told you, CO2 does not control temperature. Temperature controls CO2." 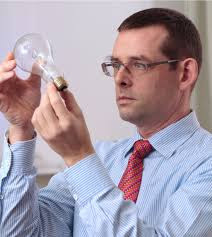 "The atmospheric greenhouse effect, an idea that many authors trace back to the traditional works of Fourier (1824), Tyndall (1861), and Arrhenius (1896), and which is still supported in global climatology, essentially describes a fictitious mechanism, in which a planetary atmosphere acts as a heat pump driven by an environment that is radiatively interacting with but radiatively equilibrated to the atmospheric system. According to the second law of thermodynamics such a planetary machine can never exist. Nevertheless, in almost all texts of global climatology and in a widespread secondary literature it is taken for granted that such mechanism is real and stands on a firm scientific foundation. In this paper the popular conjecture is analyzed and the underlying physical principles are clarified. By showing that (a) there are no common physical laws between the warming phenomenon in glass houses and the fictitious atmospheric greenhouse effects, (b) there are no calculations to determine an average surface temperature of a planet, (c) the frequently mentioned difference of 33 ◦C is a meaningless number calculated wrongly, (d) the formulas of cavity radiation are used inappropriately, (e) the assumption of a radiative balance is unphysical, (f) thermal conductivity and friction must not be set to zero, the atmospheric greenhouse conjecture is falsified."